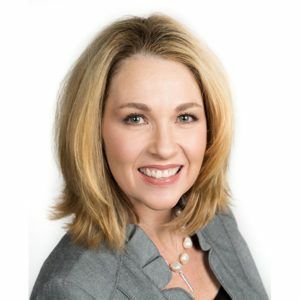 Born in Lubbock, TX and raised in a small town just outside of Lubbock, Angie graduated from Texas Tech University in 1989. She has called the Hill Country home since 1991 and is currently residing in Dripping Springs. Angie has a heart of gold and cares first about the customer, which is a rare and important priority that most people these days don’t put first. But with Angie, you will feel like you have been best friends for years with her welcoming, cheerful and friendly spirit. You never have to worry about reliability issues with her; Angie will always put YOU first! Whether you are an eager seller, informed buyer or want to design and build a new home, Angie is here to partner with you until your goal is accomplished. Angie formerly worked in various capacities at Sterling Custom Homes beginning in 1991 when she moved to Austin. Within the first few years of beginning her real estate career in 2014 she was awarded Rookie of the Year, Top Five Sales Volume, and Rising Star Awards. Additionally, Angie has qualified for the Platinum 500 in 2018, which is the top 5% of Real Estate Agents in Austin. Angie adapted quickly and successfully, and she is more than qualified to do the job. Although her passion for real estate and making her clients happy is a big part in her life, she is also involved elsewhere. She has been married since 1992, with two, now, adult “children”, Will and Lindsey. While her kids were in school, she volunteered at her their school in many capacities while concurrently serving her church, friends and family. She finds it exciting and natural to have the opportunity to be able to serve you in your Real Estate needs. If you are ready to get moving, then go ahead and give her a call at (512) 632-3889. She is thrilled to become to Realtor that you put your faith in!